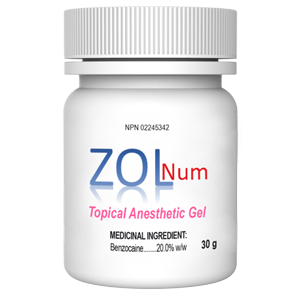 Zol Num is an effective and affordable anesthetic gel that freezes the area for a short duration. It is meant to provide comfort to patients during routine procedures. It acts fast and is available in a variety of flavors.